Effective financial advertising earns a lot of interest. Making dollars and sense, advertising for financial institutions is highly regulated. Cutting through the clutter to earn market trust for long-standing issues and life-changing decisions challenges our agency to develop out-of-the-box marketing strategies. We invite you to read case studies and see the creative developed for some of our clients within these industries who have put their trust in us. 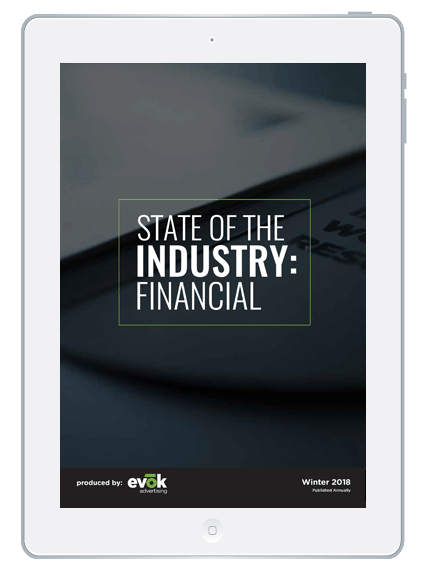 Updated annually, this state of the industry report covers areas of focus as they pertain to the Financial industry, inclusive of trends, best practices, opportunities and more. Based on these findings, this report also includes our predictions for emerging opportunities and what is next for the industry.